I have been a cross stitcher for many years. I taught myself to stitch when I was expecting my first child and have enjoyed the hobby ever since. Next to reading, it is my second favorite hobby. I’ve owned many books, leaflets, and kits. 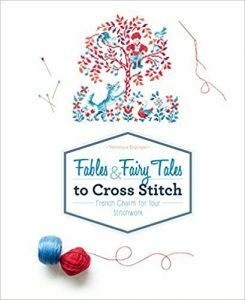 I have to say that this book, Fables & Fairy Tales to Cross Stitch” is more of the better cross stitch books I have seen in years. Not only are there 44 different designs, the book also shows a wide variety of ways to finish your work. The instructions for the finishing techniques and the supplier of fabric, etc. are noted in the book as well. The threads used are DMC. I really appreciate when DMC is used as it is one of the more cost effective flosses available. If you want to use other materials, generally, other companies will provide an equivalent chart to DMC. 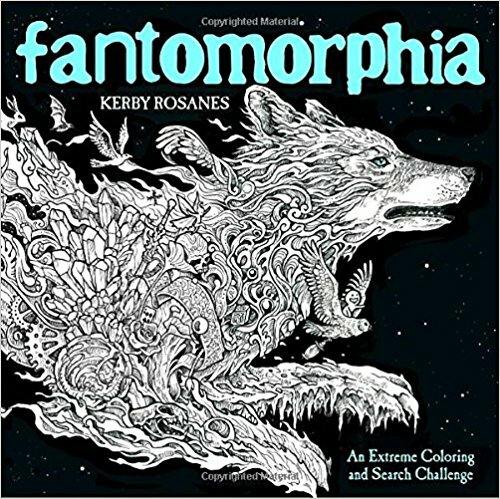 This coloring book was originally published by Okami Coloring and is now published (with the same title) by Storybook Troll under their Julia Rivers imprint. If you have the Okami book, it is the same one, including the cover. The designs in the coloring book are ocean theme with lots of swirling lines. Most of the designs involve fish but there are also other sea life and even an occasional mermaid. The designs are detailed but do not contain small and intricate areas to color. Having said that, I still found it somewhat difficult to color at times as there are so many swirling lines that I had problems, from time-to-time, figuring out which swirly line was part of what element. 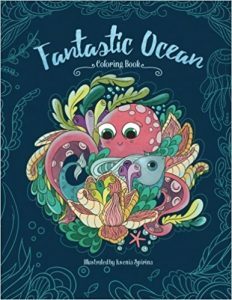 While it is not my favorite ocean theme coloring book, I still found it fun to color. 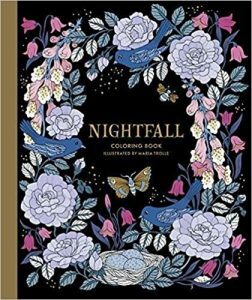 This is my second coloring book by the artist, Maria Trolle. It is even lovelier than the last. There are some many flowers, including some of my favorites (peonies, poppies, fuchsias, and roses.) There are cute little animals and a sweet young girl. All in all, a wonderful, primarily floral, book to color in. The book is hardbound, with cream paper and a sewn-in binding. There are 94 pages of designs (if you include the presentation page. Of those, 32 have black backgrounds. The vast majority of the designs are all inclusive on one page (though the printing is on both sides of the page.) There are only 7 designs which span across as a two page spread. I especially like that the artist has included the page number and the names of the flowers. I really appreciate that she did not include the page numbers on the designs but you can fairly easily find the page/flower if you look. The book opens flat very easily and I am able to color into the area of the binding with no problem. The designs are detailed but not what I consider intricate with difficult small areas to color. 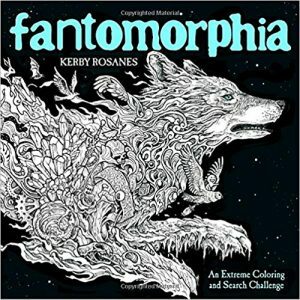 I am a big fan of Kerby Rosanes. I’ve enjoyed his coloring book artwork ever since I first found it the 2013 book, “Doodle Invasion”. I was looking forward to “Fantomorphia” which I pre-ordered without looking at the book information on the product page. Had I done so, I would have seen this book contained half the number of pages his prior books in this line contained. What I could not have foreseen was that he would also put the designs on one side of the page where previous books were printed on both sides of the page. That also reduces the number of designs by half. When you do the complete math, you are getting one quarter the number of design pages in this book at approximately the same price. One might ask, “Where is the rest of the book?” Well, I think I have found it. It is in a second book being released later this year, “Geomorphia” (here is the link on Amazon: link. So, if you are still interested in his work at effectively four times the price, go for it. I am torn about it but I know that, in the end, I will be buying the next book because I love the work. I’ve also found that by pre-ordering, I generally am paying much less and still have the option, before publishing date, to cancel my order. The words are front and center on the designs while the designs support them. Coloring in the book adds to both my prayer and worship time as I focus on the verse that I am currently coloring. Some designs are obviously inspired by the verse while others are lovely but serve more as a frame. The designs are detailed and a few have intricate and small areas to color. The designs are elegant and flowing rather than cute or filled with “doodle” elements. 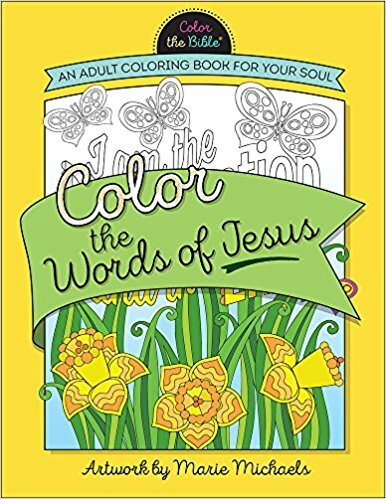 The translations used in this coloring book are: Holy Bible New International Version (NIV), New King James Version, and New American Standard Bible. 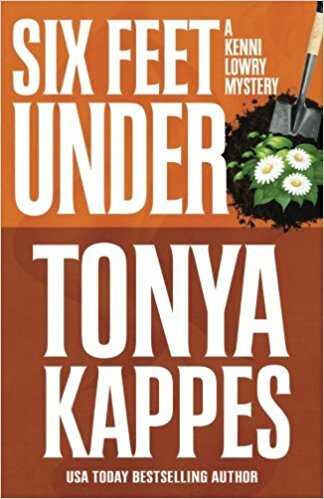 This is a funny mystery series with a paranormal twist. Kenni Lowry is the Sheriff in a small town. Her grandfather, her Poppa, was Sheriff for years before her. Once he passed and she took over, his ghost came back to help her solve crimes which involve murder. She is also assisted by Finn, the deputy who has also become her boyfriend. Finn is a by-the-book kind of guy but has come to love the Southern hospitality that the town is known for. 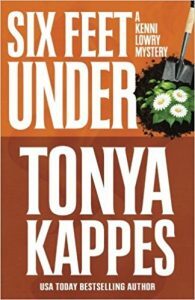 In this case, when the murder of a well-known chef happens, Kenni’s Mama comes under suspicion. Because of her close relationship, Kenni is taken off the case. But that doesn’t mean she won’t still be investigating on the side. 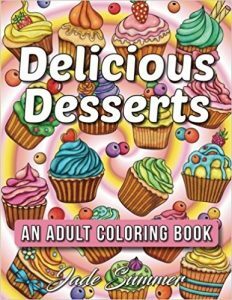 This is a really “sweet” coloring book of desserts. The variety range from wedding and birthday cakes to counter displays of penny candy. It is the perfect set of designs for those who like to color delicious and sweet treats. The desserts are displayed in a beautiful manner rather than just a cake or such. You will see a full table design with drinks or backgrounds in many of the illustrations. 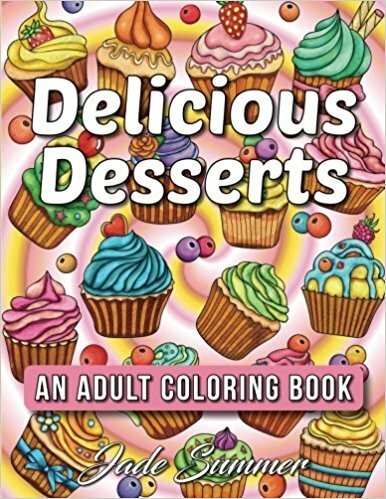 It certainly makes it a lot more fun to color when I can imagine the whole table set with deliciousness. The designs are detailed but not what I consider intricate with small areas to color. I am able to use a wide variety of coloring medium on these designs. While you can have access to .PDFs when you purchase this book, my review is based on the book as it is received from Amazon. That way you will know what the pages look like and how they accept color. I like that the publisher provides the digital version as well so you can choose the paper you wish to use and/or to color the pictures as many times as you choose. 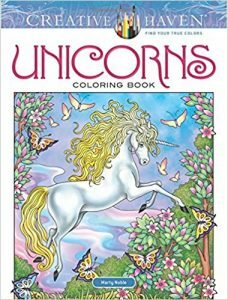 I own four other coloring books by Teresa Goodridge, which were her four seasons books. In this, “Country Charm”, rather than a season, Ms. Goodridge explores country scenes. There are season with horses, with flowers and gardens, farm stands, lake views, farms, cottages, clothes hanging out drying on a line and even a covered bridge. The two colored samples in the book appear to be that of the artist’s original artwork rather than someone’s coloring of the actual design in the book. The designs themselves have a sketch-like quality to them. They are detailed and some contain intricate and small areas to color. The faces of all of the people in the designs are large enough to easily color which was an issue with only the first of Ms. Goodridge’s coloring books. With that issue solved, I have had a lot of fun with the last three previous books and look forward to a good time coloring in this book. I’ve noticed that the paper quality seems to change quite frequently on the Creative Haven line. Because of that, if you buy one of these books, it may be slightly smooth or slightly rough depending on when and where it was printed. I’ve found that coloring medium, including pencils, work similarly with both slightly rough and slightly smooth paper from Creative Haven. In this case, my coloring book pages are slightly rough. 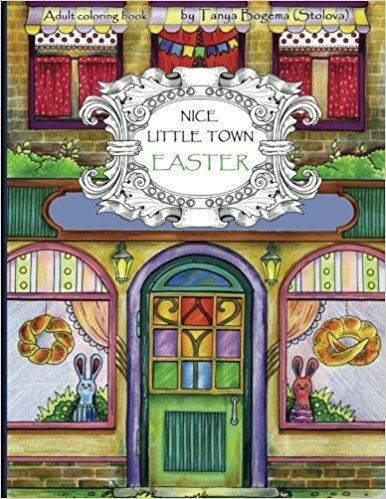 This is the Easter version of the Nice Little Town series by Tanya Bogema (Stolova). 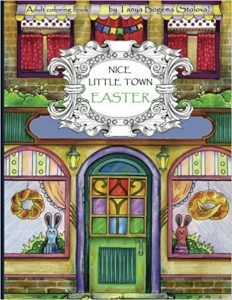 In this coloring book, it is Easter and springtime in one of the Nice Little Towns. The town is a very traditional one with brickwork houses and lots of multi-family buildings. Some of the pages include slight amounts of grayscale but nothing too difficult to deal with. I love the detail this artist goes to. In one design, she has purposefully blurred the image behind a curtain to give it the look of actually seeing it through the curtain. The focus is on the fun side of Easter. There are bunnies (of, course), little chicks, sheep, decorated eggs and Easter baskets. Then there are all of the lovely treats! Add all together for a fun coloring experience. I own all of the Nice Little Town books and enjoy each one of them as they are never the same town. 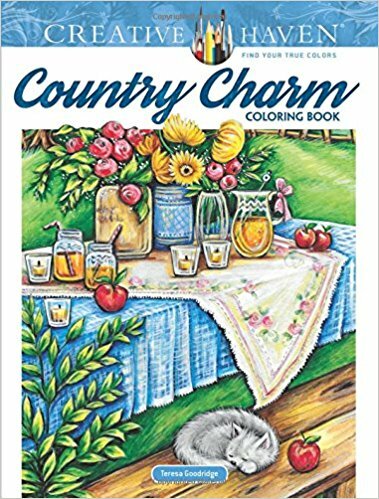 It seems that the artist is moving to standard size coloring books (rather than the smaller format she has used in the past.) I really appreciate that as I find it much easier to color on the larger page. The designs are detailed and some contain a few small elements but for the most part, I don’t consider it intricate or difficult to color. As I mentioned previously, some elements of background on some designs are in grayscale. Just color over the gray with your choice of color and you will be fine. 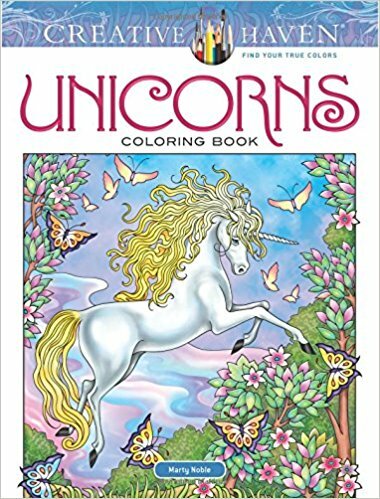 I really enjoy Marty Noble’s coloring book designs and am pleased that she has come out with one with unicorns. While the coloring book is based on a single subject, her treatment makes for a wide variety of designs. Some are flowing and elegant while others have a more stylized look to them. In most designs there is a single unicorn but there are others which involve a beautiful maiden or several unicorns. There are even rectangular shaped unicorn mandalas. Ms. Nobel’s unique style is recognizable in each of these designs. The designs are detailed (including backgrounds and/or framing.) A few of the designs have small and intricate areas to color. On the whole, I don’t think it is a difficult book to color in due to small shapes. The designs present a nice challenge and have plenty of room to try blending and shading techniques as well as embellishments to the original design(s).